So I’m going to share with you all a few examples of what I’ve seen at different barns, and hope you’ll share your own experiences in the comments! Note that his post was just focused on how you set up a schooling program regarding others riding your horses, not what the riders actually do with the horses when they school them. That’s another topic! Paid Trainer – One barn paid a trainer to work their horses once or twice a week, focused on fitness and training for sessions. Staff also rode horses as needed. Staff Schooling – Staff are each assigned a horse to train and ride once or twice a week. A notebook is kept for each horse in which the rider records how the ride went. A horse usage binder is also used to record when the horses are worked for programs and training. This may include staff taking riding lessons on program horses from a local trainer who helps determine what each horse needs to work on. Formal Schooling Program – One staff oversees the schooling program of all horses and sets goals for them. Volunteers school the horses after filling out an application, passing the schooling rider test, and signing an agreement (includes policies, requirements, expectations, liability release). The riding test is the same one as the PATH Intl Registered Instructor Riding Test. In some programs the riders must also be actively volunteering one day a week at least, so they know what they are training horses to do, and/or have volunteered in one quarter already. There is a schooling program binder with a tab for each horse, and riders must fill out a progress report each time they ride that includes the date, rider, what they worked on, the results (Strengths/Weaknesses), Conditions (Good, Weather, Recently Trimmed, etc. 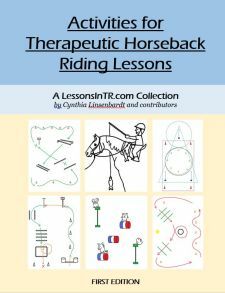 ), and Thoughts for the Next Ride – with the idea that the program staff would review the notes every so often, reassess the horse’s training plan, and make modifications. A long time ago our program assigned volunteers to horses and had them submit a “training plan” for their horse, to be approved by the head instructor. Informal Schooling Program – One staff oversees the schooling program. Volunteers school the horses after approval by the staff, usually just watching them groom, tack, and ride. Most volunteers are accepted and matched with horses based on their experience (because who wants to reject willing volunteers!). This will require more diplomacy as to why some volunteers can ride certain horses and others can’t. Staff has no formal tracking system, but rather keeps an eye on the schooling sessions by watching and talking with the riders. Exchange Riding – I did my Instructor Training at several barns, and at one they let me teach and be mentored “for free” in exchange for leasing/schooling two of their horses twice a week. I was required to pay a minimal fee for leasing ($10-15 a month I believe). Leased Horses – if your program leases horses, they should be already getting schooled by their owners (which makes things so much easier for you, hopefully!) Consider including in the contract that your staff can school the horse, or that the owner must school their horse once or twice a week. Leasing Horses – I actually haven’t seen this done, but it might be worth considering leasing your horses out to advanced riders who get to ride them twice a week. This would have to be carefully regulated when they get to ride the horses vs. program days. There would be a difference in that by leasing the rider does their own thing vs. in a schooling program they follow a specific plan for the horse. 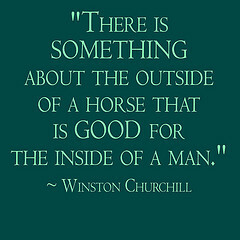 But the benefits would be the horse gets ridden by an experienced person who hopefully is improving them, the horse has a somewhat consistent buddy, and you might even get a little income. Riding experience (and disciplines) – do you require a certain number of years? What they must be able to do (groom, tack, lunge. Walk, trot, canter, identify lameness and illness, etc. What about your program? How do you set up schooling your horses?